The plea was entered on Tuesday in a Waller County courtroom in Hempstead, Texas, about 7 miles from where Sandra Bland was first arrested by then-trooper Encinia on July 10 of last year. The state’s Department of Public Safety fired Encinia earlier this month. 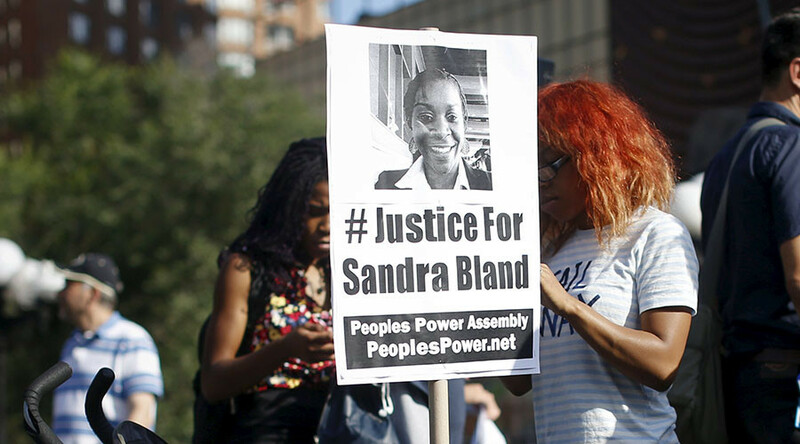 Outside the courthouse, a group of about 20 protesters chanted “Tell the truth” and “Sandra still speaks,” while some held up signs, one of which read, “What happened to Sandra Bland?” according to the Associated Press. Encinia’s defense lawyer, Larkin Eakin, claimed that the grand jury’s charge “represents a fundamental misunderstanding of law enforcement procedures,” AP reported. Encinia is due back in court on May 17. Perjury, a misdemeanor, is punishable by no more than one year behind bars and a $4,000 fine.